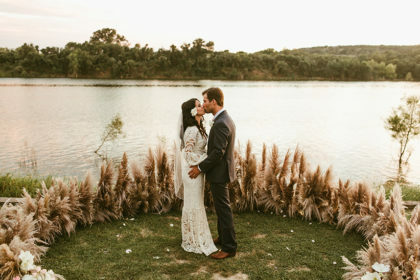 PERFECT PROPOSAL: Katie and Jacob were on a weekend trip to Port Aransas with her family. 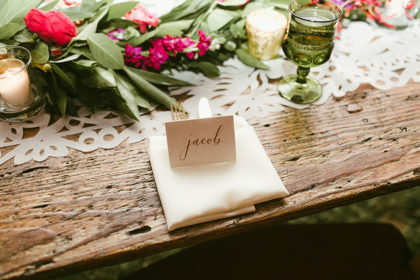 Jacob proposed after asking Katie’s grandmother for her hand in marriage. 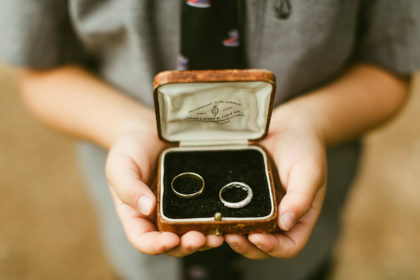 Jacob told his 8-year-old son a week before that he was going to propose, so he and his son, Noah, went to the store to purchase the ring. 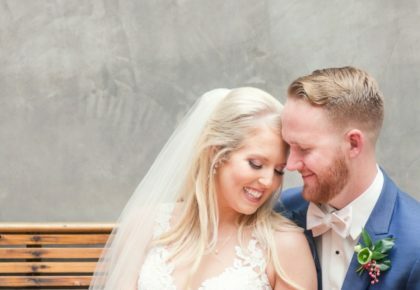 Noah kept the secret the entire week and Katie was so impressed! 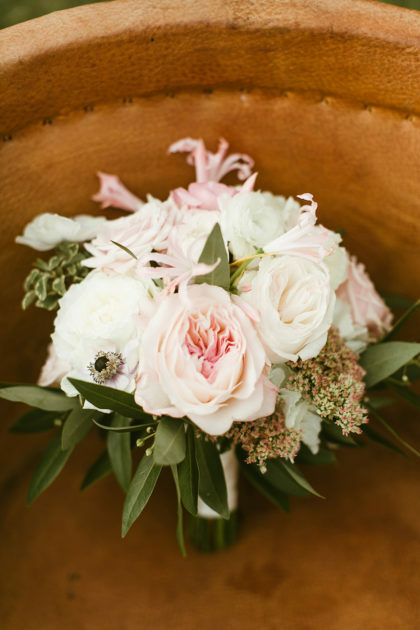 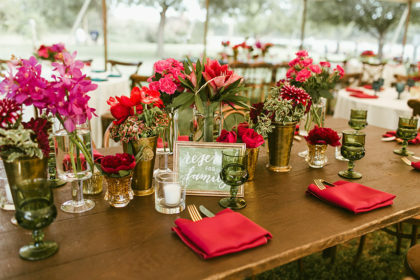 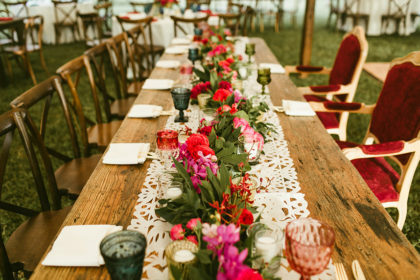 HUES SHE USED: Katie and Jacob went with colorful florals in shades of red, pink, and deep fuchsia. 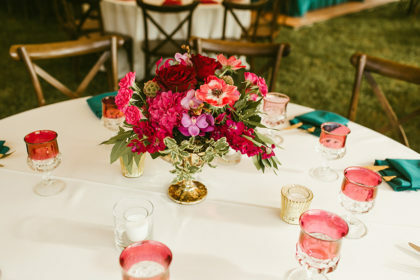 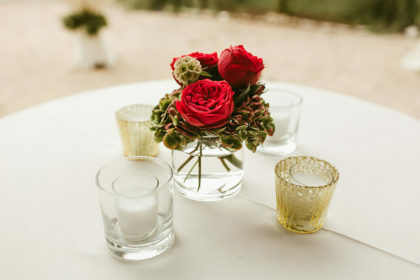 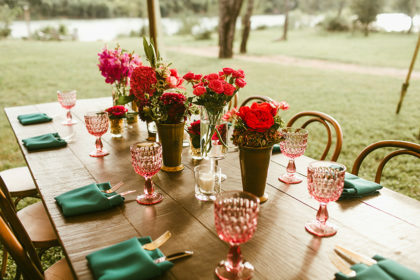 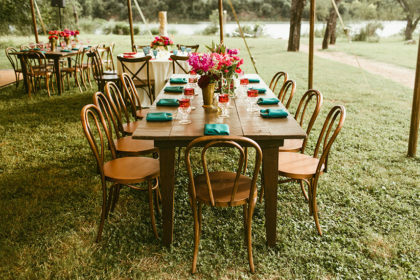 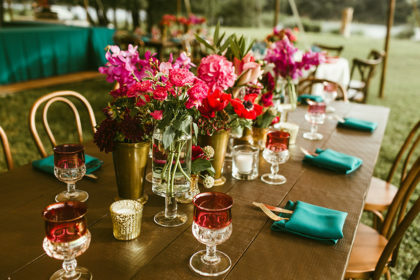 Colorful vintage goblets in shades of pink, red, teal and green, and vintage gold flatware added to the overall theme, and beautifully accented the rustic beauty of the Moriah Retreat. 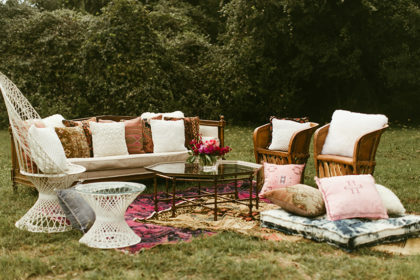 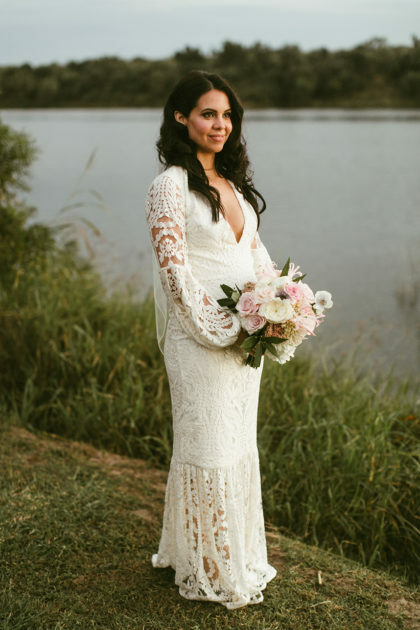 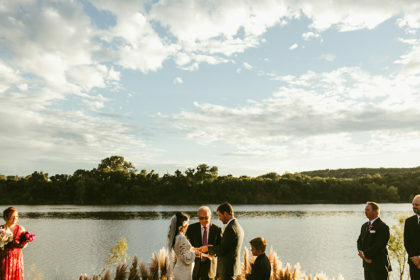 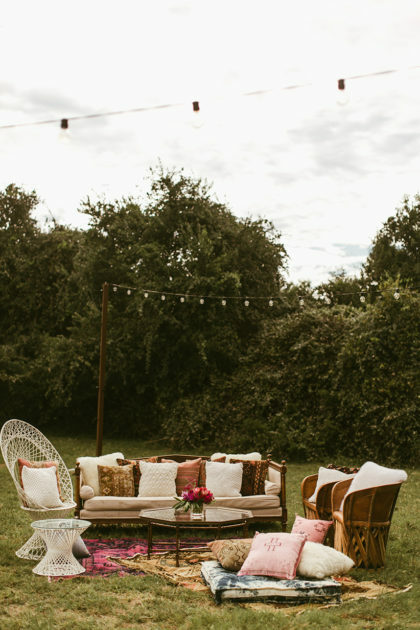 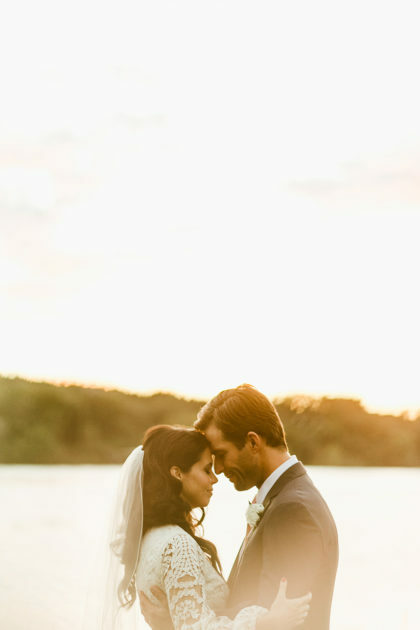 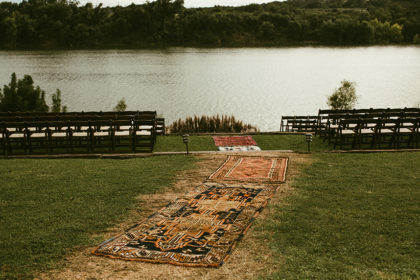 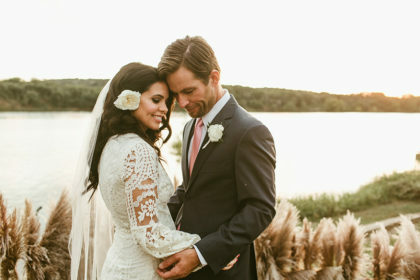 AMAZING ALTAR: Vintage kilim and Persian rugs led to a half-circle of lush silver and pewter-colored pampas grass, and with the sun setting behind the lake in the background, the altar made Katie and Jacob’s day even more special. 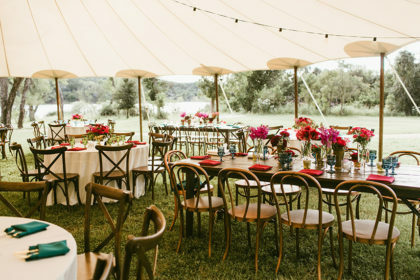 SPECIAL TOUCHES: Katie and Jacob found amazing Papel Picado table runners and used them down the center of the 11-foot head table. Westbank Flower Market added a garland with pops of red and fuchsia florals. 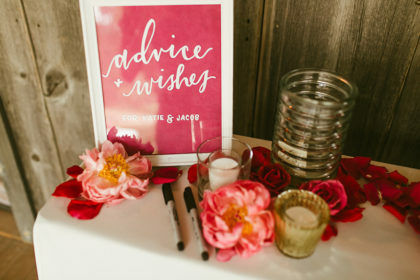 Guests had the opportunity to write out words of advice for Katie and Jacob on squares of paper in lieu of a traditional guestbook. 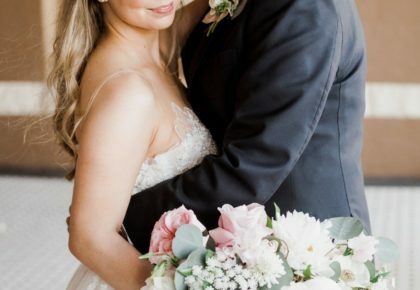 Advice was placed in a large vase and given to the couple after the wedding. 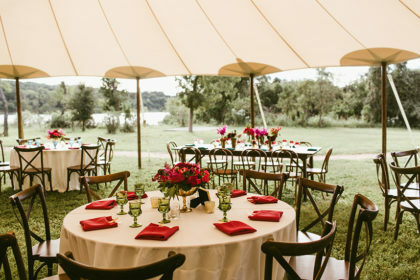 Since the weather was warm, Katie and Jacob bought sandalwood-scented wooden fans for guests to use throughout the evening. 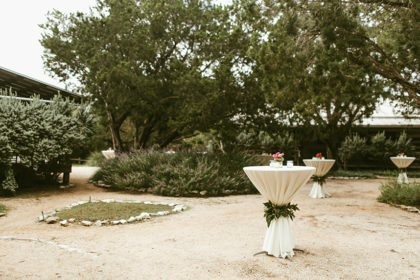 The signature drinks were homemade aguas frescas in pineapple-mint and horchata made by She Plus Him Bartending. 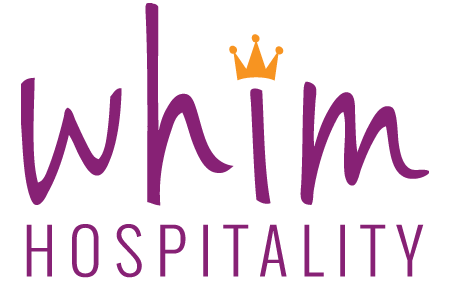 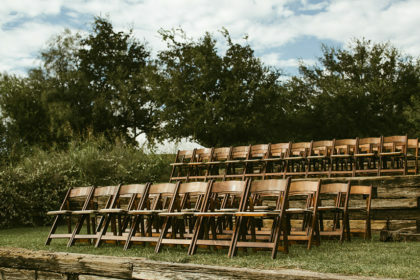 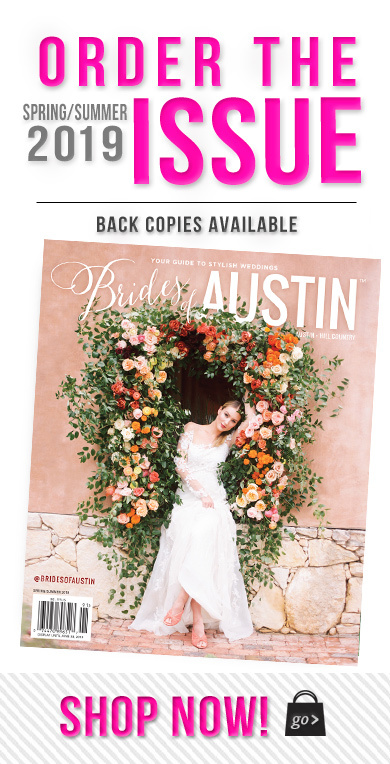 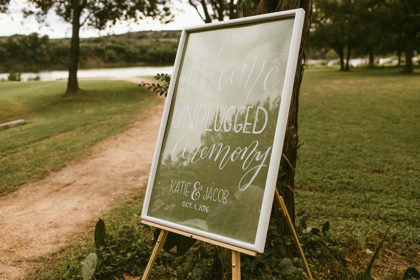 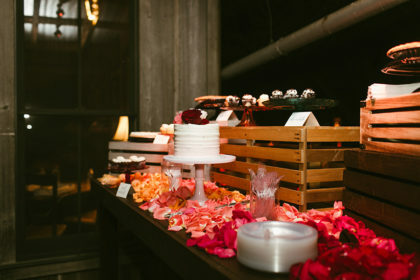 VENDOR LOVE: Modern Whimsy Events thought of all the small details. 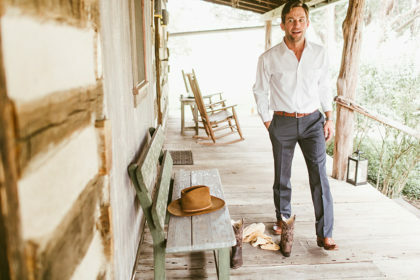 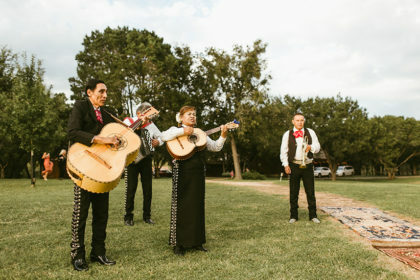 The couple was so thankful for their attention not only to their vision for the wedding, but also to the little things.